Next course run will be April 24th through May 22nd. This course is for creatives. It is for meaning seekers and memory makers. For those who thirst for childlike wonder. It is for legacy keepers and photograph takers. 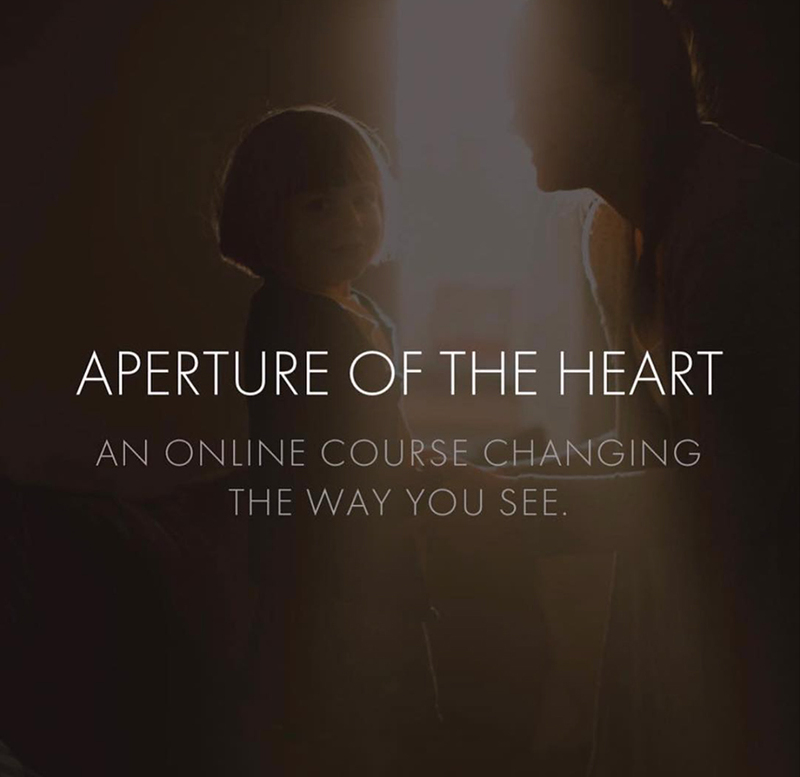 through the aperture of the heart instead of just the eyes. The kind of seeing where dust becomes wings. and MEANING illuminates the everyday mundane like gold. This course is for ALL CREATIVE SKILL LEVELS. I will be giving technical camera settings in the daily lessons for both iPhones and professional cameras. You do not need to have any prior experience with photography to benefit from this course. This course is about gaining new perspectives, being pushed outside of your comfort zone and getting to the very root of your creativity. Some of the lessons will involve taking out-of-focus photographs on purpose (as a symbol of perseverance through parts of life that feel fuzzy and unclear). In another lesson we create double exposure images in the spirit of symbolic layering of our emotions and roles. In a favorite lesson of mine we walk through the creation of what I call ‘Visual Anthems’ which involves some short writing prompts weaving a pathway to the making of images that remind us of who we are. - Learning to welcome beauty as a daily practice. - Shifting from eye sight to heart sight. - The Neuroscience of Presence. - Fear as the indicator you are going in the right direction. - Leaving your legacy in photographs. - Returning to the imagination of childhood. - Engaging all five senses in your every experience. - Viewing life and art as CRAFT with no finish line and no perfectionism allowed. - Learning to stop needing the approval of others to believe our art worthy of being made. - Naming the unspeakable things and why this is deeply important. - The unplanned miracles in the practice of art-making. - Creating a mission statement for your art. - Using photographs as a salve for anxiety and self-doubt. - The intersection of emotion and light to create engaging portraits. - Redeeming shame for light using self-portraiture. - Out-of-focus photographs on purpose as symbols of perseverance. - Natural Light as the most brilliant teacher. - Transition & how the struggle brings the strength. - Artistic expression as visual prayers and tangible meditations. - Posture & it’s importance - translating the burdens we carry into art. - Learning how to achieve productive stillness. - Rewiring negative thought patterns - the power of mindfulness. - Sharing your gifts with the world.